Recently I’ve had to deal with redirecting a single website into two separate websites (a company providing two services wanted to create a website for each service). 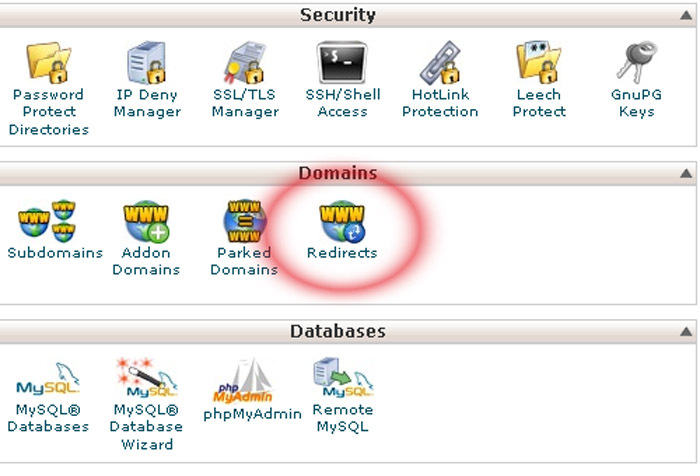 The intial website was set up on a CPanel webhosting service, which supposedly makes 301 redirects easy. As you can see in the above picture, a redirect is as simple as clicking on ‘redirects’ then, as seen in the below picture, simply filling in the 301 redirect information. After about a month I became concerned because my sites were not ranking as highly as they should (the search engines didn’t appear to be picking up the old links). Realizing that the problem may lie in my manner of redirect, I decided to perform a .htaccess redirect, which is the time-tested way to 301 redirect. After a few weeks, my sites jumped in the rankings and soon I was back where I used to be. The lesson: always do a .htaccess redirect. Save the file as .htaccess and upload it into the main directory of your website, check to make sure it works, and you’re done. Geoff Hoesch is the owner of Dragonfly SEO, a Maryland SEO Company.